I remember searching for unconditional love. I wanted someone that would love me no matter what. Little did I know He loved me unconditionally all the time. I’m not sure a human is capable of unconditional love. Only my Lord and Savor is capable of loving me no matter what, even when I am at my most unlovable. I know my husband and I love each passionately but do we love each other unconditionally? 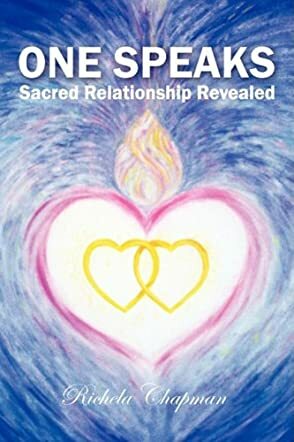 One Speaks assist readers in developing that special, close relationship with the Heavenly Father. It is only through Him we will develop true self esteem. We cannot truly love others until we love ourselves. Richela Chapman assists personal development through self reflection and seeking the Lord. Chapman encourages readers to spend time in self reflection. Through that they will notice changes in their outlook. They will find a new sense of joy in their life. The author offers a message for meditation. There are questions, journaling, and other activities included in this book.